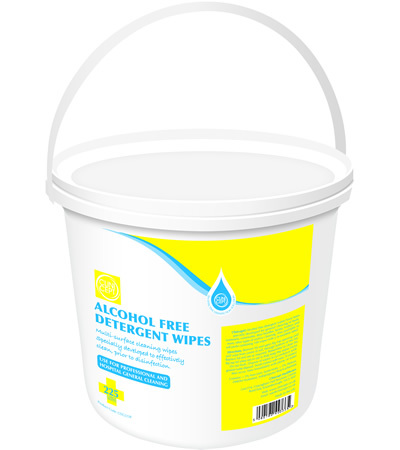 Clinicept Alcohol free detergent wipes provide a handy and convenient solution for surface cleaning and damp dusting. These multi-surface cleaning wipes have been specially developed for general cleaning of beds, mattresses, commodes, door handles, hoists, trolleys and many other types of surface cleaning prior to disinfection. They are available in buckets of 225 large wipes. We would like to hear about potential UK & International trade opportunities for Clinicept®Alcohol Free Detergent Wipes. If you are interested in distributing this product, please click here to contact us by email.